The medical mission’s primary goal is “First, do no harm”. 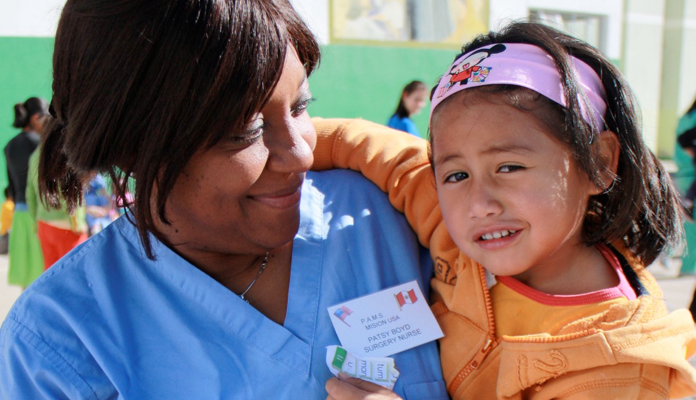 We strive to serve humanity with no distinction to color, race or ability to pay. Secondarily, we bring skills and equipment not available locally to benefit the indigenous population and also teach the Ayacuchan physician’s and health care workers to continue developing their skills so they may be used long after we are gone. The Primary care team consists of Pediatricians, Internists, and Family Medicine doctors. Nurse Practitioners and Physician Assistants also serve an important role within their scope of practice when available to the mission. Volunteers serving as interpreters, messengers and record keepers supplement the rest of the Primary Care team. Primary care teams evaluate and treat large volume of patients and also serve as second level triage for patients requiring consultation with the various other specialties available. Screening for diabetes, STD, etc. is an important aspect of our mission. Common ailments include diabetes, hypertension, GI diseases, and musculoskeletal problems. Our pharmacy provides support and medicine is bought locally if the need arises. Primary care team leaders are expected to teach medical students and supervise residents as available to the team and serve as mentors to the other volunteers on the team. The mission’s beginnings are steeped in its surgical origins. One of the visionaries who undertook the task of changing health care in Peru in general and Ayacucho in particular was Dr. Ralph Kuon a cardiothoracic surgeon himself. The focus has rightly shifted to primary care subsequently, though surgery remains an important part of the mission. The specialties which are busiest are Plastic Surgery (Cleft lip/palate, burns etc), and General Surgery (laparoscopic, biliary, colon, pediatric surgery etc). There is a need for representation in orthopedics, urology, ENT, ophthalmology and dentistry. The local surgeons are very helpful in terms of assisting and then following patient after our departure. The team is able to secure nurses and technicians skilled in the peri-operative area and the hospital nurses are extremely generous with their time and skill in lending us a hand. 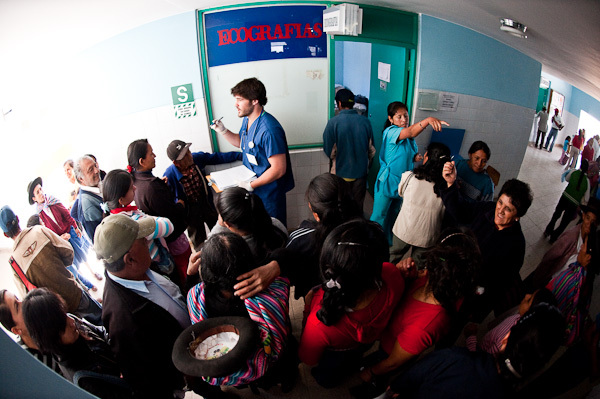 Teaching and mentoring of volunteers and local personnel is an important role the physicians and nurses have to fill. Nurses bring the skills that ensure our patients receive the best care possible. The RN or LVN role as a volunteer will depend on the area of specialty. RN's who usually work in the OR will be utilized as a scrub nurse. Med/Surg nurses may be used in the Recovery Room Pre- and Post-op. Nurses are essential to the smooth transition of patients from direct care by Mission staff to follow-up care by local personnel. We will utilize each nurse’s skills and areas of expertise to their fullest capacity. No nursing staff will be placed in areas of which they are not familiar. As with every volunteer flexibility is very important. All nursing staff must have a current and valid license to practice along with BLS. We welcome problem-solvers with an open mind and an open heart to bring the best to our patients. Pharmacists are the glue that hold the mission together. The Mission Pharmacy is the base of operations for all of our activities, and pharmacists provide the expertise necessary to ensure medications are selected and dispensed in a safe and effective way. Pharmacists with a clinical background are especially valuable to help our doctors substitute and customize medication regimens to match the resources available to us. This may very well be the most challenging role in the entire mission--and the most appreciated. 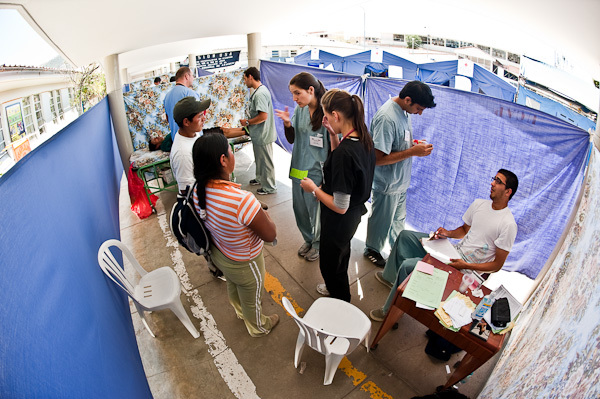 Medical Students work alongside physicians in all of the services provided by the mission with a safe, supervised scope of work. Rotations include time in internal medicine, general surgery, plastic surgery, triage, gynecology, cardiology, diabetes and public health, based on the specialists working during the Mission. In previous years students have helped take medical histories, administered cortisone shots and sutured during surgery, when appropriate. We attempt to give our students a unique learning experience that will boost their knowledge and confidence as higher levels of medicine approach them. Volunteers without medical training play a tremendous role in the Mission. We need eager, smart problem-solvers to help us manage supplies, serve as runners to help patients navigate the ins and outs of the medical mission, and to carry on health promotion and health education activities at the local schools and orphanages. 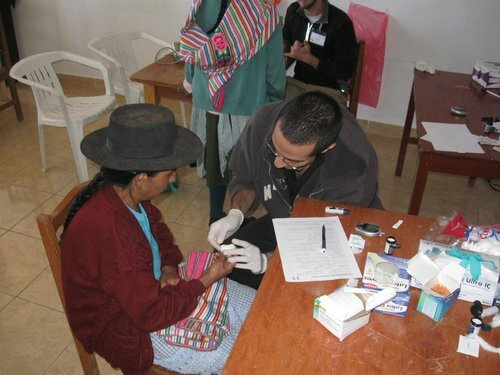 Volunteers who are fluent in Spanish work as translators for non-Spanish-speaking mission physicians and pharmacists. Regardless of the role you find yourself in, you will be making an important difference in the lives of the people of Ayacucho, and will leave Peru having had an unforgettable experience.